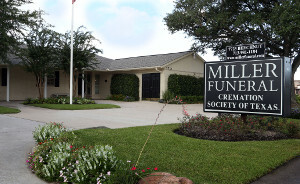 Miller Funeral Services & Cremation Society of Texas has served Houston families for more than 20 years. Because we have strong roots in this community, we are fully committed to offering local families exceptional, affordable funeral services. We strive to serve each family with the compassion, dignity, and respect they deserve in their time of need. At Miller Funeral Services & Cremation Society of Texas, you’ll discover the level of compassionate care only a family can provide. As a family ourselves, we understand the importance of paying tribute to your loved one with a truly meaningful funeral service.